Ryan Hedges says Barnsley coach Daniel Stendel is keeping him and the squad on their toes after the winger started Tuesday’s Checkatrade Trophy tie against Everton U21s at full-back. The 23-year-old scored the opening goal as the Tykes drew 1-1 with Everton’s youngsters before triumphing 4-2 on penalties, putting them on the brink of qualification from Group F.
Hedges insists he was happy to simply be on the pitch after a frustrating summer of injury hampered his preparation for the new season. “It’s not my preferred position (left-back)," said Hedges. "But as long as I’m on the pitch and showing what I can do, I can do a job anywhere. It’s pretty new to me. I feel like every day I’m learning. Whether I’m playing at left-back or further up, I just want to influence the game and it showed that I can do by getting a goal. 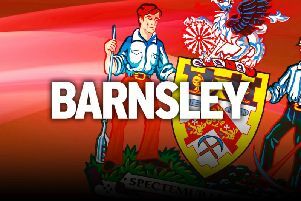 Barnsley face Bradford next Tuesday at Oakwell where a draw will see them progress to the next round of the competition they won in 2016. It was only the Welshman’s second start of the season having been used mostly from the bench, with the former Swansea youngster now targeting a run in the side. “Being a footballer, you want to play football and that’s been the most frustrating part,” he continued. “I feel I haven’t played as much as I have wanted. Hopefully I can kick on and prove that I should be starting. “Being out injured, watching the lads start the way they did, it was nice to see us win games and doing well but now I feel I can contribute a lot more than I have been doing in the games coming up.